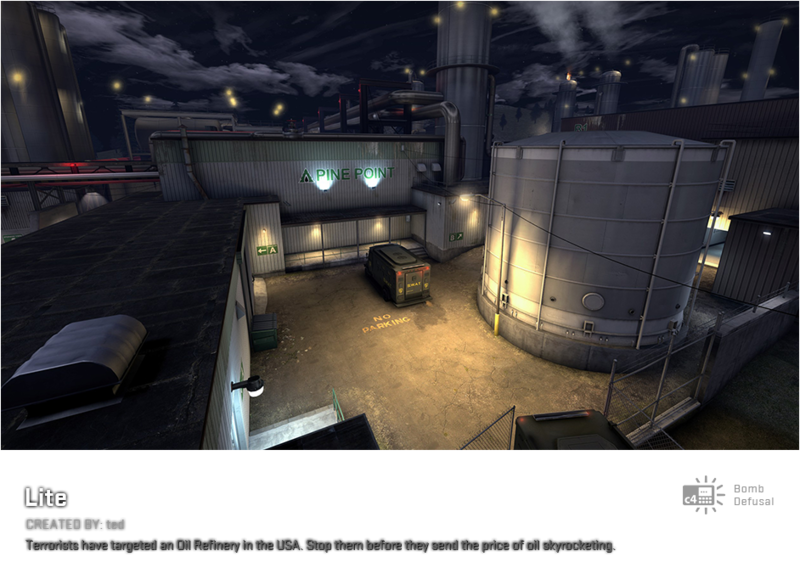 Operation Hydra features all-new Operation Hydra Events - twists on the classic game rules playable on a set of new and returning community maps available for casual and competitive modes. There's more - a full Guardian Mission campaign, an Operation Coin upgradable to the new Diamond level, an Operation Journal with friends leaderboards, the opportunity to gain extra XP, Operation weapon drops, and the all new Operation Hydra Case. Click here to see what's included! Hydra Events are unique game modes that are available for a week at a time. 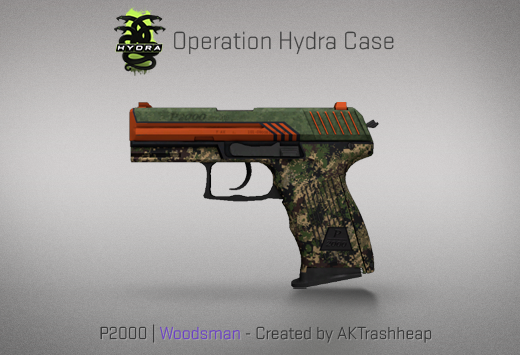 There are three Hydra Events: War Games, Wingman, and Weapons Expert. These events are available to all CS:GO players. Also, Operation Hydra All Access Pass holders will be able to earn additional XP and make progress toward an upgraded coin and item drops. Come back each week to see what's new! 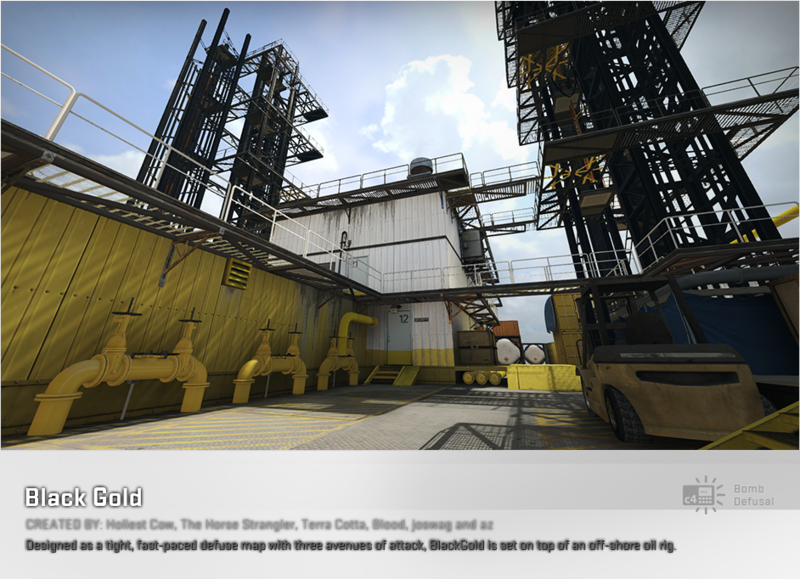 Put your friendship on the line in a quick 2v2 best-of-16 match on CS:GO's single-bombsite maps. The pressure is on - don't let your wingman down! How deep is your weapon pool? Play a 5v5 best-of-30 match with a twist - once you buy a weapon, you can't buy it again for the rest of the match. Coordinate with your team, grind the enemy out of weapons, and try to keep your best options available! Both Wingman and Weapons Expert feature separate competitive skill groups exclusive to these game modes. Win matches and see where you stack up! Jump in to a match featuring unique twists on classic gameplay! At the end of the match, vote on the next War Game to play. Play casual bomb defusal rounds with the help of a new suit of armor available for purchase in the buy menu. Like a tank, you'll make a bold entrance as you plow through enemy territory. Prepare to be the center of attention! Practice your aim in a headshots-only deathmatch. Guaranteed to raise your headshot percentage to 100. Every kill drops a dogtag – work with your team to collect enemy tags and recover your own. Your actions score points for your team, so work together and push for victory! Get up close and personal in this electrifying War Game. With only a knife and a special recharging Zeus (and with whatever grenades you can afford), you'll have to have great close-range skills to win. Based on a fan favorite, this War Game turns the gravity down and the accuracy up. Armed only with an SSG08, a knife, and your quick reflexes, take advantage of cover and high mobility to take down the enemy! Take your time and aim carefully--you'll take damage for every missed shot. Concentrate on perfect accuracy or bait enemies into missing shots--then finish them off with grenades. Good things come to those who wait. Play four new and three returning community-created maps in weekly Hydra Events or in regular matchmaking for casual and competitive play. 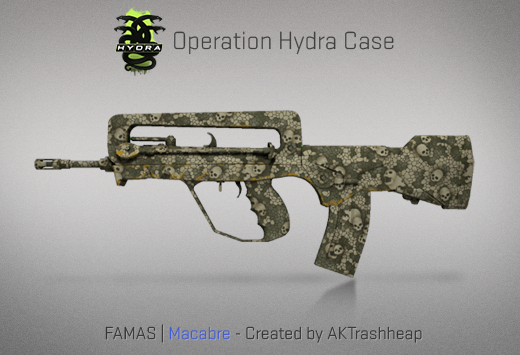 Purchase the All Access Pass and get these Operation Hydra features. 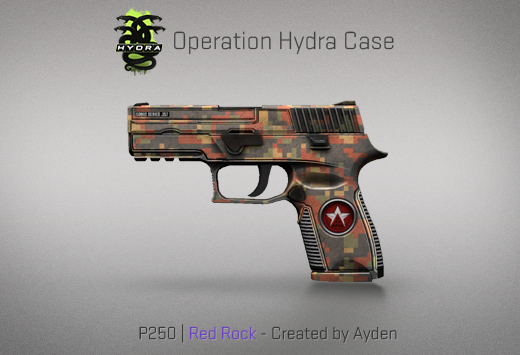 The Operation Hydra Coin is displayable wherever your avatar is shown. Earn Operation Stars by completing missions and participating in Hydra Events to upgrade from Bronze to Silver, Gold, and the all new Diamond level! Your Operation Hydra Journal tells the story of your play during the operation. Visible only to you, check your stats for your competitive play, access your Guardian missions, and see how you stack up against your friends on the leaderboard. Pair up with a friend and defend the world from the Phoenix in this challenging new cooperative campaign. Play through the missions at your own pace, and earn Guardian XP toward Operation Stars and Operation Weapon Drops. 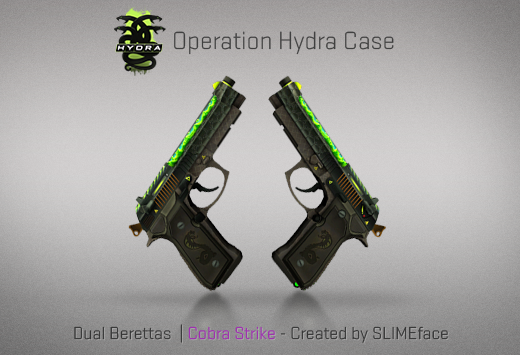 The Operation Hydra Case features a new set of community-designed weapon finishes, and the rare special items are gloves. 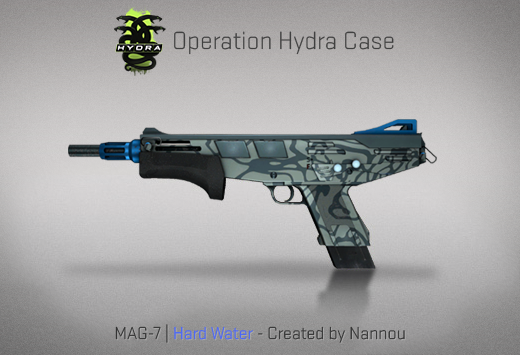 Collect cases by participating in Hydra Events - every other Operation Star you earn through Hydra Events will get you an Operation Hydra Case. 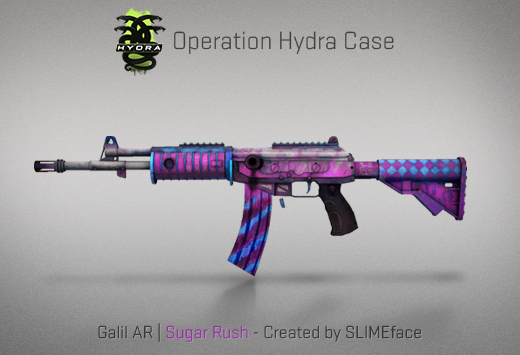 Earn Operation Stars by completing Guardian missions and participating in Hydra Events, and along the way you'll pick up weapons from the Operation collections: Cobblestone, Cache, Overpass, Gods and Monsters, The Rising Sun, and Chop Shop. 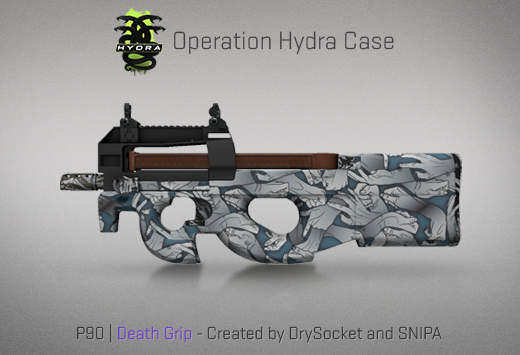 How do I participate in Operation Hydra? 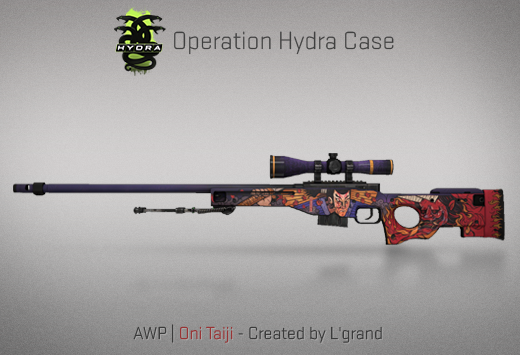 Operation Hydra is set to run for 18 weeks and includes game modes and experiences that are free for all CS:GO players, as well as extra features available with an Operation Hydra All-Access Pass. 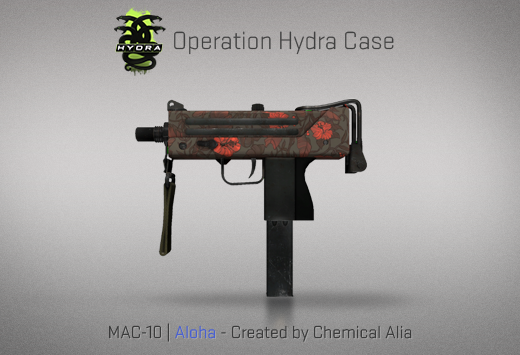 Free in this Operation: All CS:GO players can play Hydra Events - special game modes and experiences that are available on a three-week rotation throughout the operation. 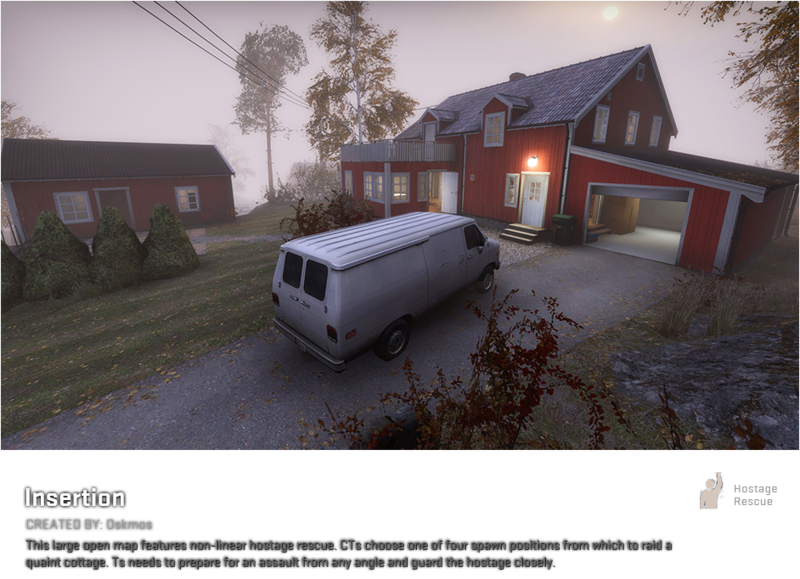 Additionally, all CS:GO players will be able to play the seven Operation Maps in Competitive, Casual, and Deathmatch game modes. If you have an Operation Hydra All-Access Pass, you'll get access to an Operation Challenge Coin (upgradable to the new Diamond level), an Operation Journal that will track your competitive stats and let you compare your progress to friends, Operation weapon drops and Operation Hydra Cases, and a campaign of Guardian missions that can be completed at your own pace. 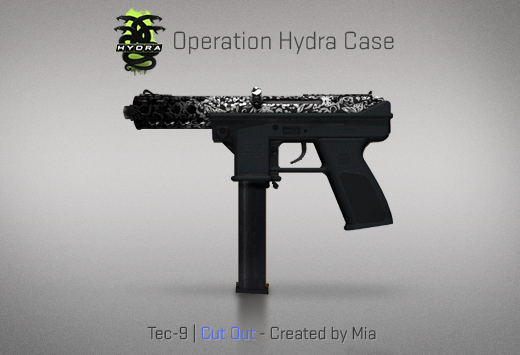 How do I upgrade my Operation Hydra coin? Upgrade your Operation Hydra coin by earning Operation Stars. The coin can upgrade from Bronze to Silver (5 Stars), Gold (18 Stars), and Diamond (25 Stars). To earn stars, complete Guardian missions in the Operation Hydra campaign or participate in Hydra Events to gain Guardian XP or Event XP, respectively. You will earn an Operation Star for every 2000 Guardian XP (up to 7 Stars), and every 2000 Event XP (up to 18 Stars). How do I earn Guardian XP and Event XP? When you complete a Guardian mission, you'll earn Guardian XP. You can replay a Guardian mission as often as you like, but can only earn Guardian XP from the mission once. You can earn Event XP by participating in weekly Hydra Events. Each player starts with a limited pool of 2000 available Event XP, and the pool increases by 2000 XP each week (up to 36,000 XP). You can earn available Event XP all at once, or slowly over time. Don't worry if you've missed a few weeks or have started late - every player can earn the same maximum Event XP. 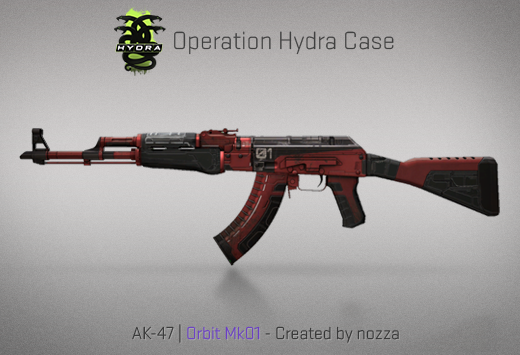 Every week Operation Hydra rotates through a series of events. 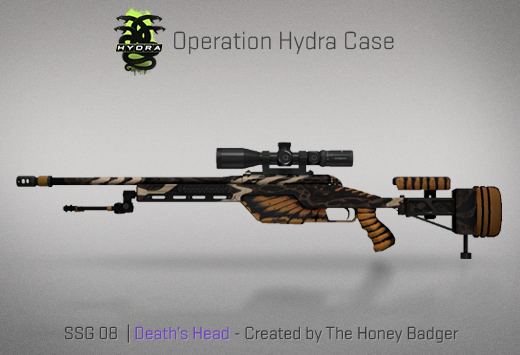 Hydra Events offer unique gameplay and are available to all CS:GO players throughout the Operation. You can join an Event via the Operation Hydra panel on the Main Menu. If you have an Operation Hydra All-Access pass, you'll have the opportunity to earn Event XP. 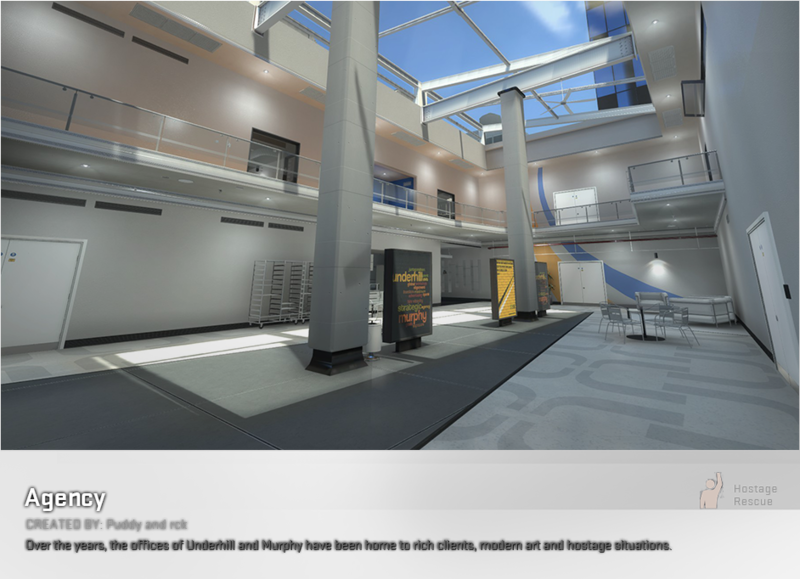 There are three weekly events: Wingman, Weapons Expert, and War Games. Wingman and Weapons Expert are queued competitive modes with their own skill groups, and War Games are drop-in/drop-out experiences that offer unique twists on regular gameplay. One of these three events will be active each week. How do I play Wingman? To play Wingman, you'll need a partner. Start a Wingman lobby by clicking the event icon on the Main Menu and invite some friends, or join a public Wingman lobby. 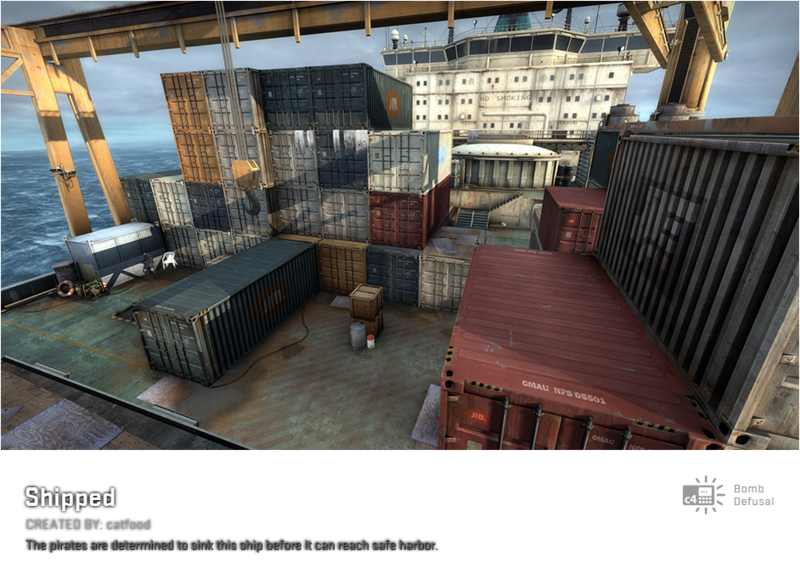 You'll be matched into one of the currently rotating maps against players of a similar skill group. Your Wingman skill group is specific to this game mode and is determined by your record in Wingman matches. 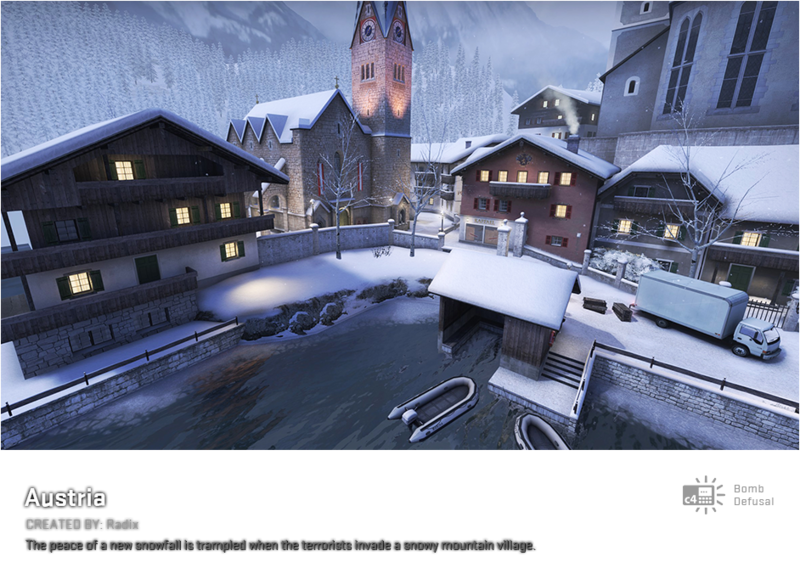 By accepting a Wingman match, you are agreeing to play a complete match and will receive a competitive cooldown for an abandon. How do I play Weapons Expert? To play Weapons Expert, click the event icon on the Main menu to start a new lobby or join a public Weapons Expert lobby. You'll be matched into a pre-set map against players of a similar skill group. Your Weapons Expert skill group is specific to this game mode and is determined by your record in Weapons Expert matches. By accepting a Weapons Expert match, you are agreeing to play a complete match and will receive a competitive cooldown for an abandon. How do I play War Games? To play War Games, click the event icon on the Main Menu and you'll join a server that has a variety of possible War Games. Each War Game offers a unique twist on regular gameplay, and players can vote on which War Game to play next. Refer to the loading screen or the in-game scoreboard for details on the Rules of Engagement for that War Game. 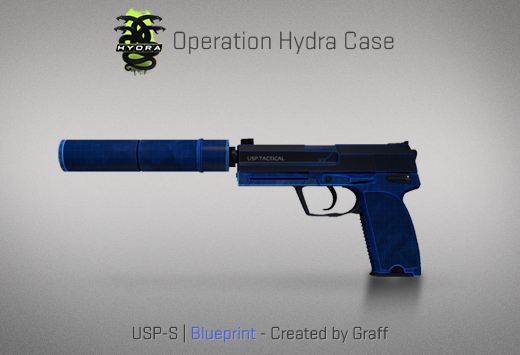 How do I play an Operation Hydra Guardian Mission? To play a Guardian mission, you or a friend will have to have an Operation Hydra All Access Pass. Once you've created and joined a Guardian Mission lobby, the lobby leader can select any of their available Guardian missions from their Operation Journal. New Guardian missions are unlocked as soon as a previous mission has been completed. If you have an Operation Hydra All Access Pass, you will get credit for completing a Guardian mission even if it has not yet unlocked in your journal. Can I replay Hydra Guardian Missions? Yes, after completing a Guardian mission you can replay the mission as often as you'd like. To replay a mission, visit the Hydra Campaign map in your Operation Journal and select any completed mission. Your highest score will be displayed on that mission's Friends Leaderboard. 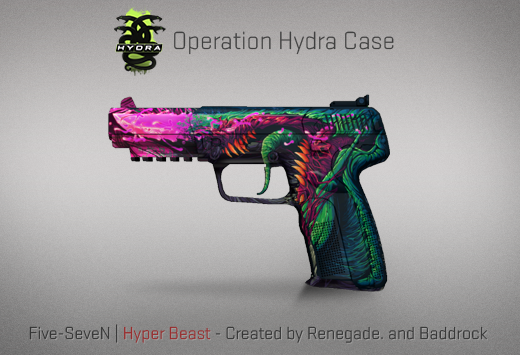 How do I earn Operation Hydra weapon and Hydra Case drops? 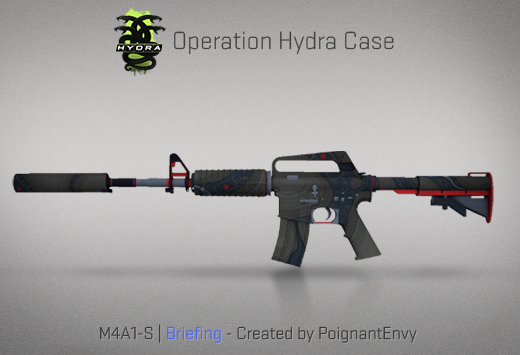 Whenever you collect enough Event XP to earn an Operation Star you will receive an item, alternating between a Operation Hydra Case and an Operation weapon drop. Additionally, whenever you collect enough Guardian XP to earn an Operation Star, you will receive an Operation weapon drop. If you earned a regular drop in the match where you earned your Star, complete another match to get your Operation item. 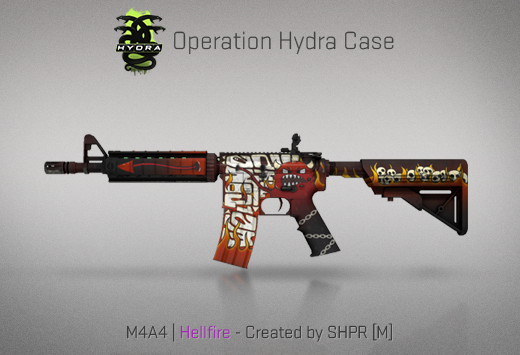 Operation weapon drops will come from one of the following Operation Collections: Cobblestone, Cache, Overpass, Gods and Monsters, The Rising Sun, and Chop Shop. 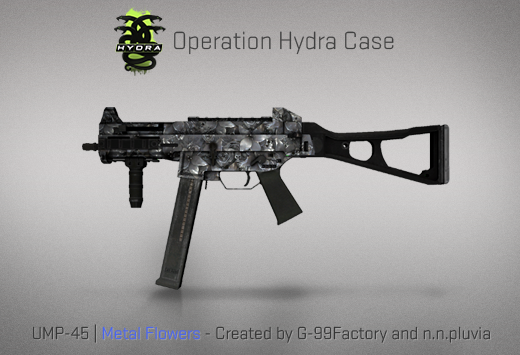 A total of 16 Operation weapon drops and 9 Operation Hydra Cases can be earned by completing Guardian missions and participating in events.